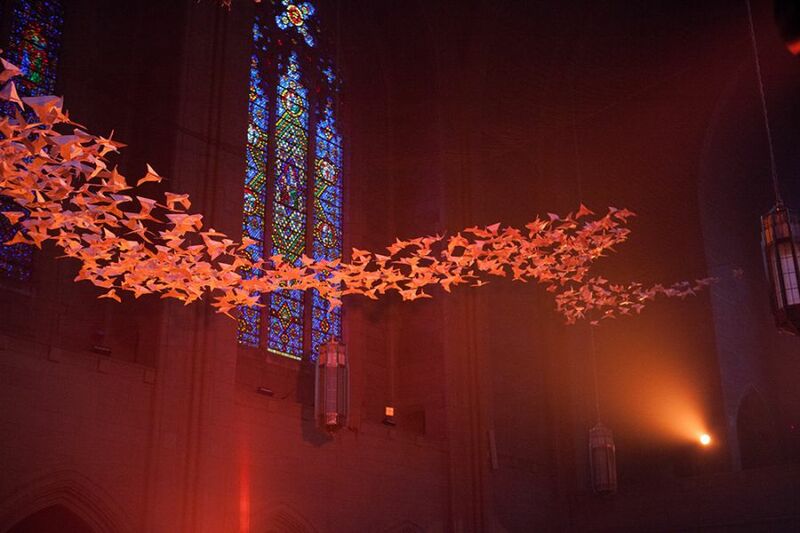 On Friday, Alumni community members, faculty and staff gathered for an evening with artist Michael Pendry's beautiful installation Les Colombes at the Church of the Heavenly Rest. The event was organized by the school's Alumni Parents Council, under Co-Chairs Winnie Feng and Annie Haddad. Acclaimed children's book author and illustrator David Ezra Stein and his wife Miriam recently treated boys to a presentation on writing that included a fun puppet show.